Freshly baked lasagna, hot from the oven, with layers of thick noodles, melted cheese and savory sauce is a crowd-pleasing Italian favorite. Lasagna is a hearty food and needs little more than crusty bread and a side salad to make a complete meal. 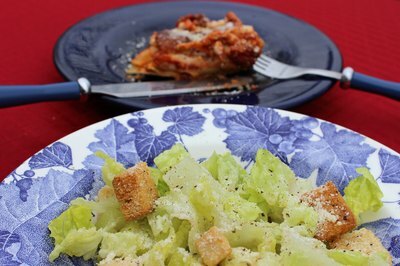 Caesar salad has a natural affinity with many pasta dishes, including lasagna. 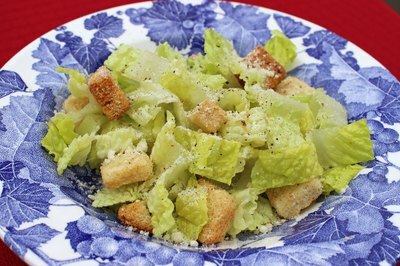 Crisp romaine lettuce is dressed with olive oil, wine vinegar, lemon juice, garlic, freshly grated black pepper and salt to make a light, satisfying side dish. An optional raw egg yolk makes for an authentic Caesar experience. Anchovies and Parmesan cheese are tasty additions. Antipasti literally means "before the pasta" and often features a tray of assorted nibbles to quell hunger prior to pasta. 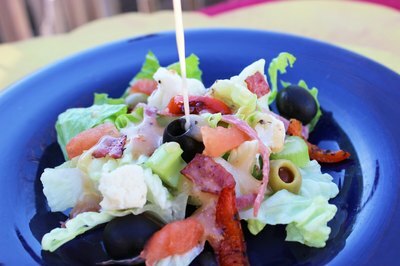 Antipasti salad can be quickly assembled with an offering of celery sticks, black and green olives, thin slices of prosciutto, salami, melon, roasted peppers and cauliflower. Artichoke hearts have a mild, earthy flavor that goes well with substantial main dishes. An easy salad can be made using canned or jarred artichokes. First drain the artichoke hearts of their brine, then toss with olive oil and lemon juice. Finish with several cracklings of black pepper. 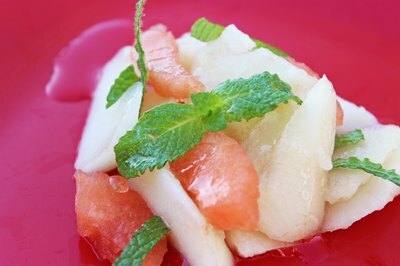 A simple fruit salad of pear slices adorned with strips of fresh mint provides a light and sweet break from leafy greens and vinaigrette-type dressings.